The antimicrobial activities of aqueous (cold and hot) and ethanolic extracts of leaf stem bark and root of Cyathula prostrata were investigated against some human clinical isolates of Staphylococcus aureus, Streptococcus mutans, Escherichia coli, Bacillus cereus, Pseudomonas aeruginosa, Klebsiella pneumoniae, Proteus mirabilis, Salmonella typhi, and Candida albicans using the Agar well diffusion method at extract concentration of 25mg/ml. Ciprofloxacin(5Î¼g/ml) and Fluconazole (20Î¼g/ml) drugs was used as positive reference standards to determine the sensitivity of the strains. Results obtained showed that all the test isolates were inhibited by various fractions of the leaf, root and stem bark extracts. The antimicrobial activities of the different plant parts were not significantly different (P<0.05), though the greatest activities were observed with the ethanolic fractions (14.0-25.5 mm), followed by the hot water (12.0-24.2 mm) and cold extracts (13.0-18.5 mm). An inhibition range of 24.0-25.5mm and 28.5mm were observed from ciprofloxacin and fluconazole drugs respectively. The percentage susceptibility of the most sensitive bacterial isolate (E. coli,) was 95.9% while the least (K. pneumoniae) had 40.0% sensitivity. Candida albicans had a percentage susceptibility of 57.5%. The minimum inhibitory concentration (MIC) ranged between 400 and 800Î¼g/ml. The observed phytochemical compounds were saponins, tannins, flavonoids, alkaloids, cardiac glycosides and steroids. 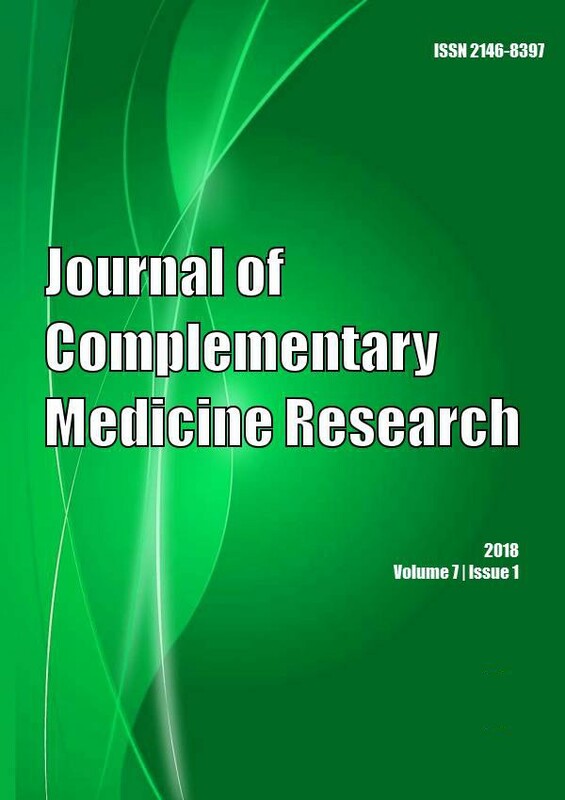 This study has justified the applications of Cyathula prostrata in the traditional herbal medicines and therefore holds a promise as a potential source of novel broad spectrum drug for treating infectious diseases. 1. Adomi PO. Screening of leaves of three Nigerian plants for antibacterial activity. Afr. J. Biotechnol. 2008;7(15):2540-2564. 2. Akinsade KA, Olukoya DK. Vibrocidal activities of some local herbs. J. Diarrh. Dis. Res. 1995; 13:127-129. 3. Omojasola PF, Awe S. Antibacterial Activity of the leaf extracts of Anacardiumoccidentale and Gossypiumhirsutum against selected micro-organisms. Biosci. Res. Comm.2004; 60(1):25-28. 4. Warrison BA, Ebong OO. Antimicrobial activity of kalanchoe pinnate LAMS. West Afr. J. Pharmacol. Drug Res. 1996; 2:65-68. 6. El-Malmood AM, Doughari JH and Ladan N. Antimicrobial screening of stem bark extracts of Vitellariaparadoxa against some enteric pathogenic micro-organisms. Afri. J. Pharm. Pharmacol. 2008; 2(5):89-94. 7. Ogu GI, Ekeanyanwu RC, Igborgbor CJ.Phytochemical Screening and In vitro Antibacterial Activity of stem bark extract of Caesalpiniapulcherrimaagainstsome Clinical isolates. Int. J. Nat. Appl. Sc.2010; 6(3):329-337. 8. Ogu GI, Ekeanyanwu RC, Madagwu EC, Eboh OJ, Okoye IJ. In vitro Antimicrobial evaluation of African Nutmeg	(Monodoramyristica) seed. Int J. Trop Agric Syst. 2011; 55(1):55-60. 9. Burkhill HM. The useful plants of west tropical Africa. Kew Publishing. 1985.p. 50-52. 10. Odugbemi T, Odunayo A. Nature of medicinal plants. In outline and Pictures of Medicinal Plants from Nigeria. ToluOdugbemi (Editor). University of Lagos Press, Lagos, Nigeria. 2006. p. 73-161. 11. Kannappan P, Sundaram KS. Toxicity assessment of the medicinal plant Cyathulaprostrata. J. Appl. Biosci. 2009; 13:681-687. 12. Rajith NP, Ramachandran VS. Ethnomedicine of Kurichyas, Kannur District,	Western Ghats, Kerela. Int. J. Nat. Res. Prod. 2010; 1(2)249-253. 14. Collins CH, Lynes PM, Grange JM. Microbiological Methods (7thedn) Butterwort Heinemann Ltd, Britian. 1995. p. 175-180. 15. Sahm D, Washington F. Antimicrobial susceptibility Test Dilution Method. In: Manuals of Clinical Microbiology, Lennette E.H 5thEdn. American Society of Microbiology, Washington D.C. 1990. 16. Trease GE, Evans WC. Pharmacognosy (11thEdn). BraillarTiriden Company, Macmillan Publishers. 1996. p. 56-109. 19. Akinpelu DA, Onakoya, TM. Antimicrobial activities of medicinal plants used in	folklore remedies in south-western Africa. Afr. J. Trad. CAM. 2006; 3:112-115. 22. Awe S, Omojasola PF. A Comparative Study of the Antibacterial Activity of Piliostigmareticulata Bark extract with some Antibiotics. Ethnobotanical Leaflet. 2009; 13:1197-1204. 23. Anibijuwon II, Duyilemi OP, Onifade, AK. Antimicrobial Activity of Leaf of Aspiliaafricana on some Pathogenic Organisms of Clinical Origin. Ethnobotanical Leaflets 2010;14: 390-401. 24. Banso A. Studies on the antifungal properties of aqueous and ethanolic extracts of three species of Acalypha. Ph.D Thesis, University of Ilorin, Ilorin, Nigeria. 2005. 25. Mordi RM, Erah PO. Susceptibility of common urinary isolates to the commonly used antibiotics in a tertiary hospital in southern Nigeria. Afr. J. Biotechnol. 2006; 511):1067-1071. 26. Nwachukwu NC, Orji FA, Okike UM. Antibiotic Susceptibility Patterns of Bacterial Isolates from Surgical Wounds in Abia State University Teaching Hospital (ABSUTH), Aba â Nigeria. Res. J. Med. Med. Sci. 2009; 4(2): 575-579. 27. Oluyege AO, Dada AC, Ojo AM, Oluwadare E. Antibiotic resistance profile of bacterial isolates from food sold on a University campus in south western Nigeria. Afr. J. Biotechnol. 2009; 8(21):5883-5887. 28. Unni BG, Archana B, Wann SB, Singh HR, Barabruni D, Minakshi B. Phytochemical and Antibacterial study of traditional medicinal plants of north east India on Escherichiacoli. Asian J. Exp. Sci. 2009; 23(1):103-108. 29. Sofowora EA. Medicinal Plants and Traditional Medicine In Africa. Spectrum Book Ltd. John Wiley and Sons, Chichester. 1982. 31. Prescott ML, Harley PJ, Klein AD. Microbiology. 5th Edition. McGraw Hill Inc. 2002. p.39. 34. Hill AF. Economic Botany. A textbook of useful plants and plant products. 2ndedn. McGarw-Hill Book Company Inc, New York. 1952. 36. Aurelli P, Costantini A, Zolea S. (1992). Antimicrobial activity of some plant essential	oils against Listeria monocytogenes. J. Food Prot. 1992; 55: 344-348. 39. Edeoga HO, Okwu DW, Mbaebie BO. Phytochemical constituents of some Nigerian medicinal plants. Afr. J. Biotechnol. 2005; 4(7): 685-688. 40. Chandrappa CP, Shilpashree CB, Karthik MR, Govindappa M, Sadananda, T.S. Antibacterial and antioxidant activities of Adiantumpedatum.J. Phytol. 2011;3(1):26-32. 42. Dharmananda S. Gallnuts and the uses of tannins in Chinese medicine. J. Biol. Chem. 2003; 256: 4494-4497. 43. Sodipo OA, Akanji MA, Kolawola FB, Odutuga AA. Saponin is the active antifungal principle in Garcinia kola, Heckle seed. Biosci. Res. Comm. 1991; 3: 171. South African Journal of Botany 2019; (): . Ecological Engineering 2017; 107(): 120. Phytochemical Screening and Antimicrobial Effects of Aqueous and Ethanol Leaf and Stem Extracts of Gongronema latifolium Benth. Research J. of Botany 2015; 10(2): 50. Research J. of Medicinal Plant 2015; 9(6): 275. Antimicrobial activity and phytochemical screening of crude water extract of the stem bark of Ficus glumosa. Sci. Res. Essays 2015; 10(5): 177. British Microbiology Research Journal 2014; 4(9): 1046-1056. British Microbiology Research Journal 2014; 4(7): 749-758. Bayero Journal of Pure and Applied Sciences 2014; 6(2): 101. Journal of Intercultural Ethnopharmacology 2012; 1(2): 1.